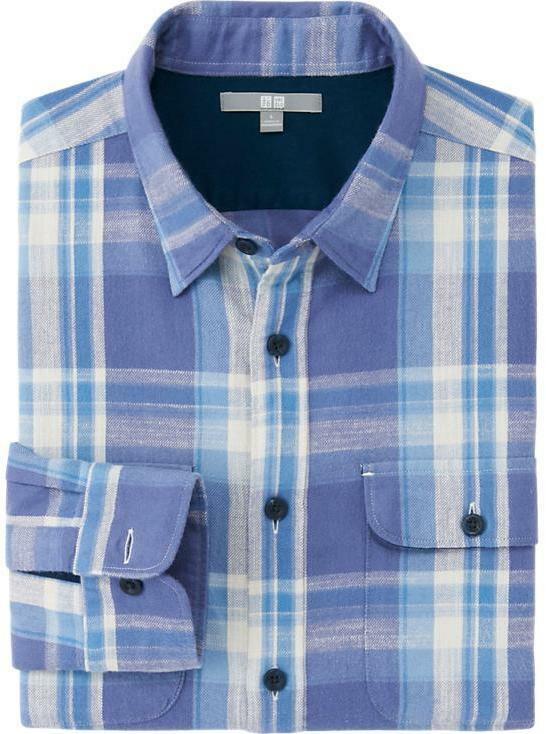 If you're all about functionality dressing when it comes to your personal style, you'll love this killer combination of a flannel check long sleeve shirt from Uniqlo and blue ripped jeans. Elevate your getup with dark brown leather casual boots. If you're on the lookout for a casual yet stylish look, make a flannel check long sleeve shirt from Uniqlo and black jeans your outfit choice. Both items are super comfortable and will look stunning together. Amp up the cool of your outfit by completing it with black leather derby shoes. 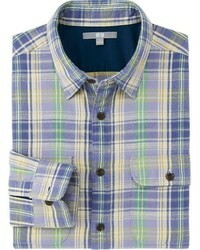 If you're after a casual yet stylish ensemble, pair a blue plaid flannel long sleeve shirt with black chinos. As well as totally comfortable, these items look great together. 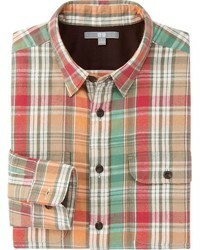 If you're hunting for a casual yet sharp look, choose a flannel check long sleeve shirt and brown chinos. As well as very comfy, these two pieces look great when worn together. When it comes to shoes, this getup pairs wonderfully with brown suede low top sneakers.